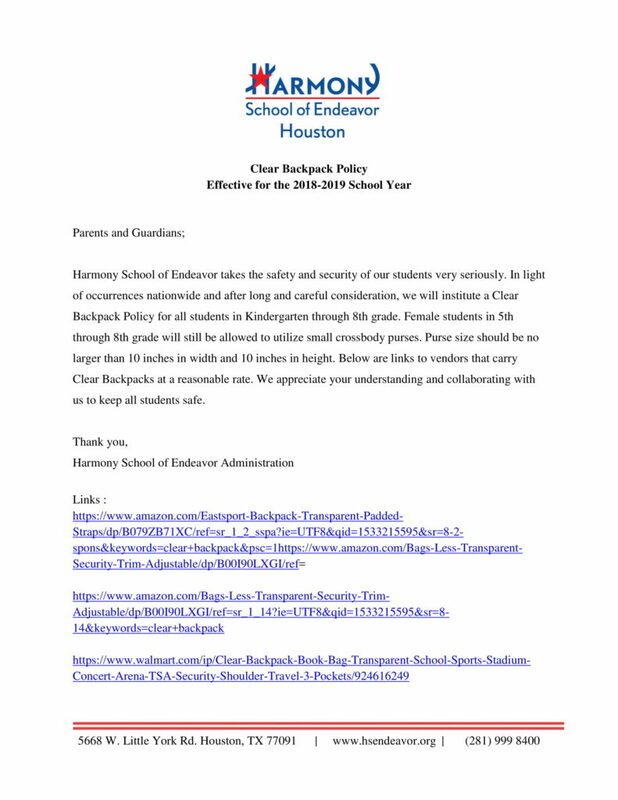 Harmony School of Endeavor takes the safety and security of our students very seriously. 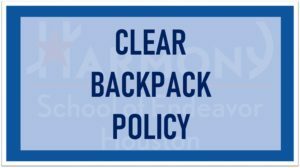 In light of occurrences nationwide and after long and careful consideration, we will institute a Clear Backpack Policy for all students in Kindergarten through 8th grade. Female students in 5th through 8th grade will still be allowed to utilize small crossbody purses. 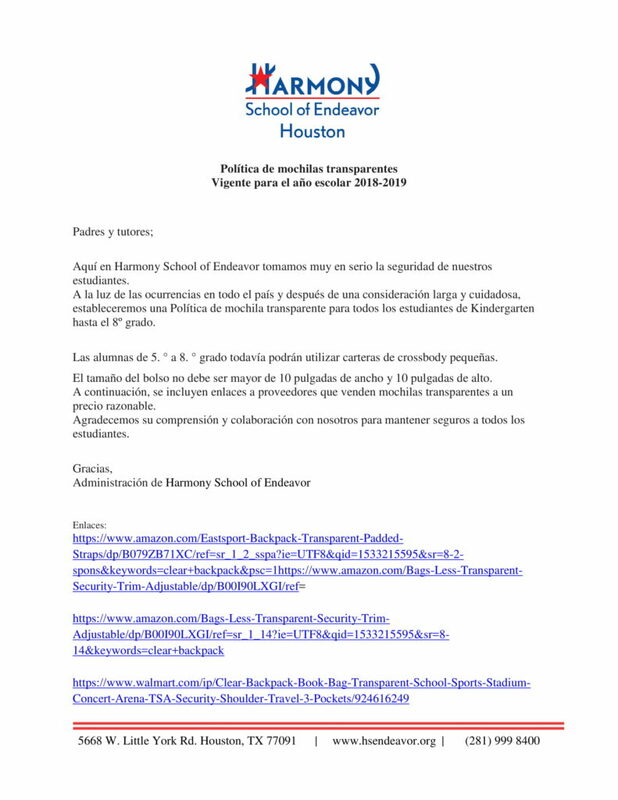 Purse size should be no larger than 10 inches in width and 10 inches in height.Below are links to vendors that carry Clear Backpacks at a reasonable rate. We appreciate your understanding and collaborating with us to keep all students safe.